Industries We Serve | G-TECH Services, Inc.
G-TECH specializes in providing talent solutions for clients operating in fast-paced, high-tech industries such as automotive / manufacturing, chemical / petrochemical, energy, engineering, and information technology. Manufacturers across all industries compete on time-to-market and cost. They are always seeking new approaches and technologies that streamline their operations, improve their productivity, and embed greater value into their processes. At G-TECH, we specialize in providing talent that supports all aspects of the production lifecycle, helping our manufacturing clients achieve new efficiencies and gain a competitive edge. We serve manufacturing organizations in a variety of industries, with a long and well-established track record of success with automotive-sector companies ranging from major automakers to suppliers across all tiers. With emerging technologies, greater environmental concerns, and changing regulations, the chemical and petrochemical industries continue to evolve. Organizations in these sectors must implement strategic modernization initiatives, new business processes, and smarter technologies to stay ahead of their competition. G-TECH’s staffing solutions provide our chemical / petrochemical-sector clients with the engineering and IT talent they need to advance their business goals. Energy-sector companies face a variety of challenges, including environmental concerns, evolving technologies, and changing government regulations. To tackle these challenges, they are constantly exploring new methods and technologies that improve their productivity, increase their agility, and enhance their reliability. G-TECH’s flexible staffing solutions offer our clients access to the engineering and IT talent they need to stay competitive across all major segments of the energy industry, including oil and gas, utilities, and alternative energy. The information technology sector is constantly evolving. IT leaders are under immense pressure to deploy the newest technologies as a response to growing demands for applications support, cloud computing, mobility, and security, among other emerging trends. 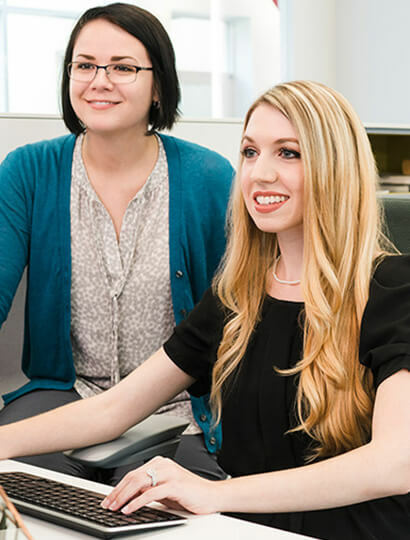 Our specialized recruiters connect clients with IT talent across a broad spectrum of positions and skills, ranging from programmers and network specialists to security engineers and web developers. Let us work with you to find the talent that will keep your organization at the technological forefront. Engineering is in G-TECH’s DNA. We understand how engineers work best – how they approach problem solving, collaborate with their team members, and innovate. With the growing demand for engineering professionals (and a shrinking talent pool), we are well positioned to provide that hard to find talent across a variety of industries, positions, and specialized skills. Our talent acquisition ranges from finding qualified facility design engineers and material handling experts to product designers, quality engineers, and production supervisors.